In elementary school our mascot was the shamrock. How cool is that? Later, they changed it to the crusaders (lame). I’m kicking myself now for not saving all of my gym t-shirts. Not that I could wear them! It just would have been cool to pass them on to my little ones. When St. Patrick’s Day rolls around each year cheers of, ” We are the shamrocks, the mighty mighty shamrocks!”, always pop into my head. It’s also one of the reasons that I’m pretty adamant about celebrating the holiday with shamrocks. Four-leaf clovers are lucky and all, but shamrocks are where it’s at. 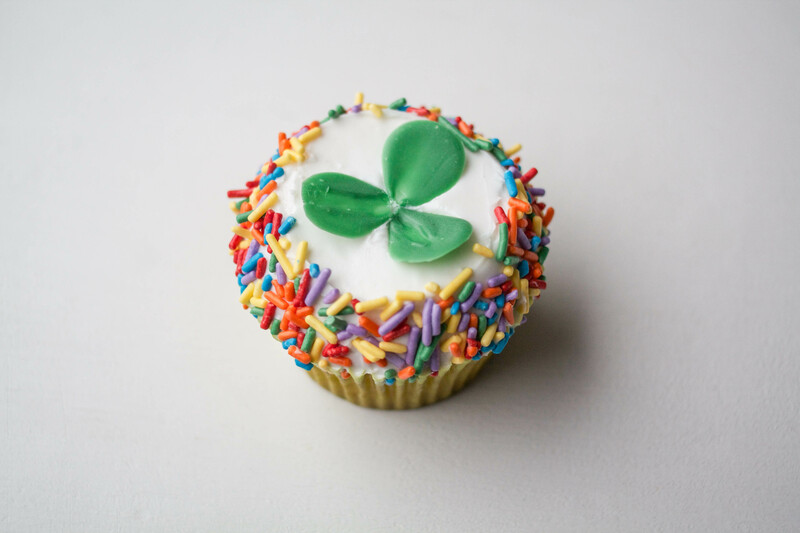 Shamrock cupcakes are quick and easy enough to make with kids, but festive enough for any grown-up St. Patrick’s Day celebration. And if you had the time, how cool would an entire cake look covered in these little beauties? I’d even let you sneak in a 4-leaf one for luck. 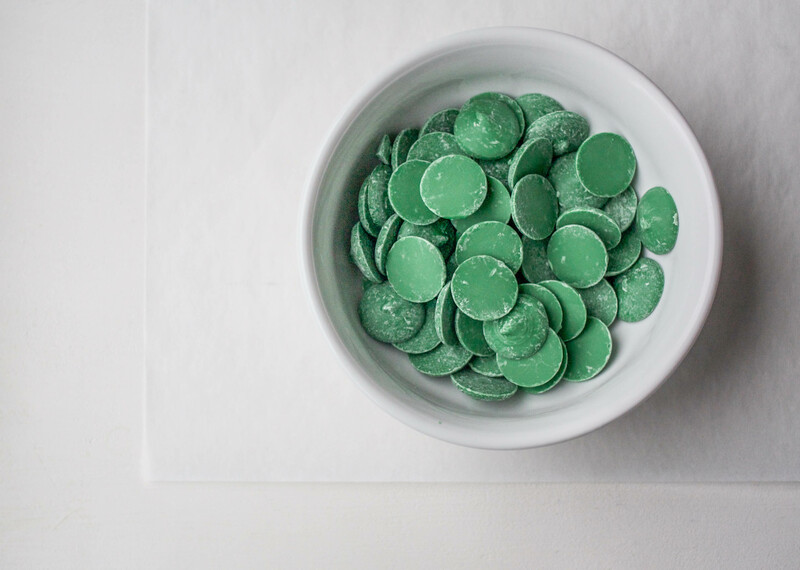 Melt your green candy melts (or white chocolate). Dip your pointer finger into the melted candy. Place your finger tip onto the parchment paper and smear the candy down and away. This creates a petal shape. Repeat as many times as needed. Use your thumb to make even larger petals. 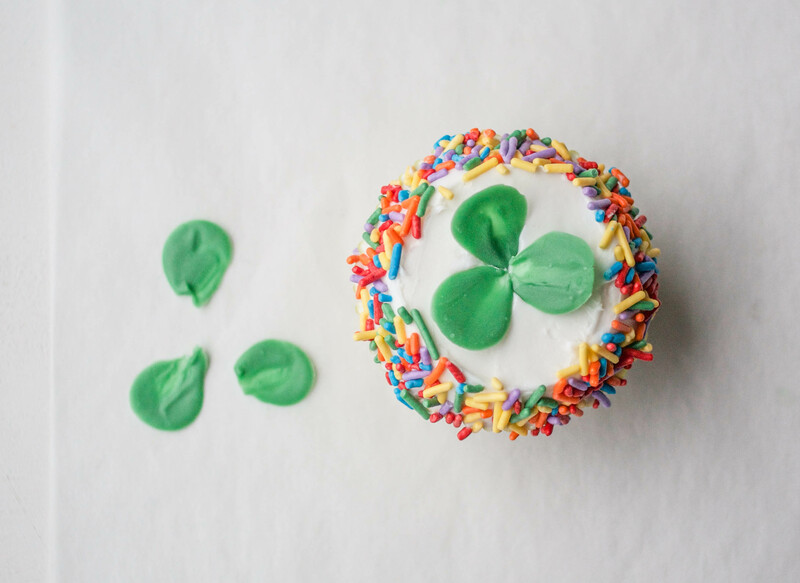 Arrange your dry shamrock petals in groups of three (or four) on a freshly iced cake or cupcakes. This finger smear method might take a petal or two to get the hang of. Once you do get the hang of it, the kinds of flowers you can create are almost limitless! 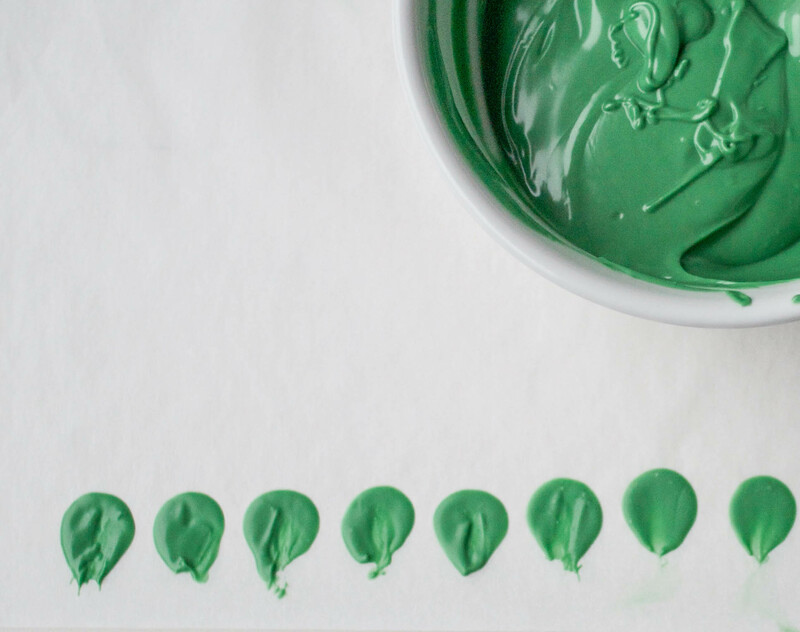 I’ve used it to create pansies, violets, cherry blossoms, simple leaves, and more. Such a simple method with such pretty (and tasty) results. Nice!!! Thanks for the sharing ! !